The Mercury glass pumpkins are going to get plenty of use this season. The last couple of years I had meant to get them, but they were sold out by the time I got by PB. This year I found them at Wisteria and they are the perfect addition to the other Mercury glass pieces around here. The small white pumpkin was a ceramic one which originally was green & yellow. It was painted with a combo of Chalk Paint and some flat white paint, so that it was a bit whiter in the end, but still aged and chalky looking. The books are quite old and the top one being so tattered adds fun to the mix. The vellum one on the bottom is Italian from the 1600's and came from 3 Fine Grains. She has beautiful books and other goodies! The dish the big pumpkin is sitting on is a silver type serving platter with inlaid of white mother of pearl and black that echos the same colors as the black marble table top. The monogram I created on the computer and then printed it out on paper, sealed it and adhered it to the pumpkin. The little black pumpkin got a fresh coat of paint as well. It is the kind that probably came in a whole bag of little foam pumpkins that you can find at the craft store. At first it was painted with Fusion black flat paint. I still like how well that paint covers and seals. But for a fresh coat, I used Patio Paints flat black which is a great paint for coverage as well, and the black is quite flat. This seemed the perfect time to add a touch of burlap. 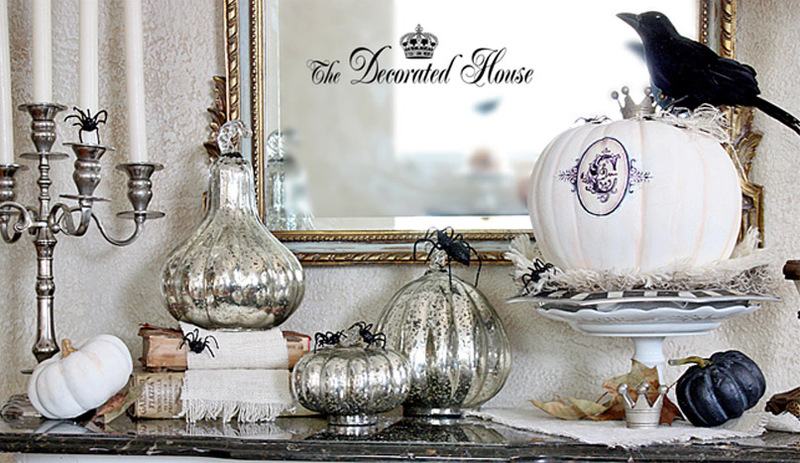 The contrast of burlap with marble, white, and mercury glass is such a fun twist to Halloween decorating! Thanks for stopping by and sharing this fun season with me. Great display, Donna! I love your monogram pumpkin and the lovely dish it sits on. Thanks for giving the info surrounding everything, too. 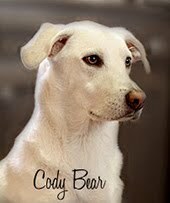 i am a newbie at this blog thing..i learn so much just look at your great ideas. Donna- What a great looking vignette...I love it. Those pumpkins with spiders are just great! I just might steal that idea. 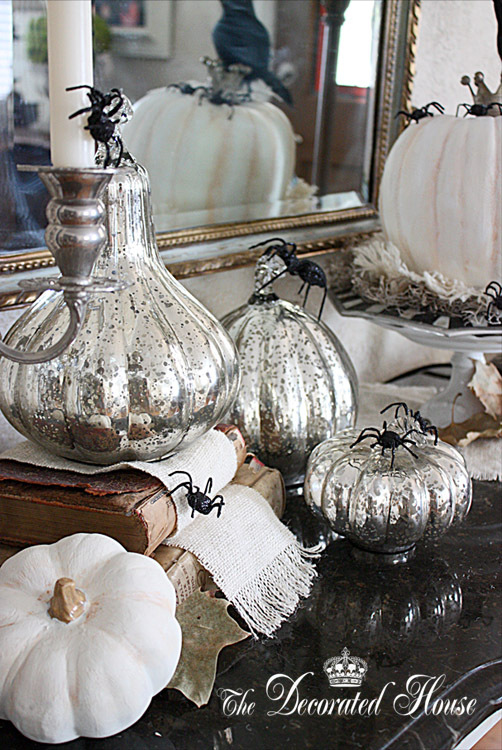 I love the mercury glass pumpkins! Really stylish Halloween display. This is just gorgeous Donna. so elegant and fun at the same time, I love it! 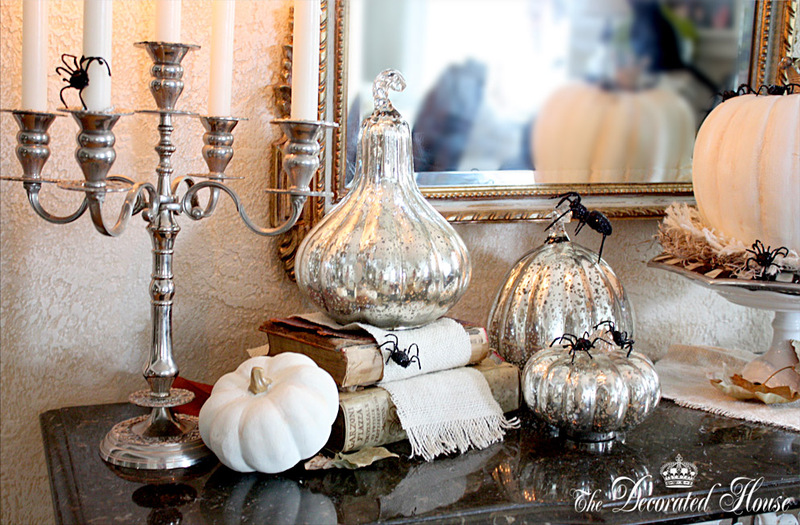 I love those mercury glass pumpkins! Beautiful decorating-thanks for sharing! What a gorgeous display! I especially love that mercury glass and your monogrammed pumpkin. Love this arrangement - just lovely! Stop over to enter my giveaway of 100 printed postcards! Donna, your display is absolutely delicious! I just found a couple of these mercury pumpkins at my local TJ Maxx a couple of weeks ago and I can't wait to create my own pumpkin display. My collection is in the same color scheme as yours. I'll post on it sometime soon. Oooh...a very pretty autumn vignette, my friend! I love your mercury glass pumpkins...sooo pretty! 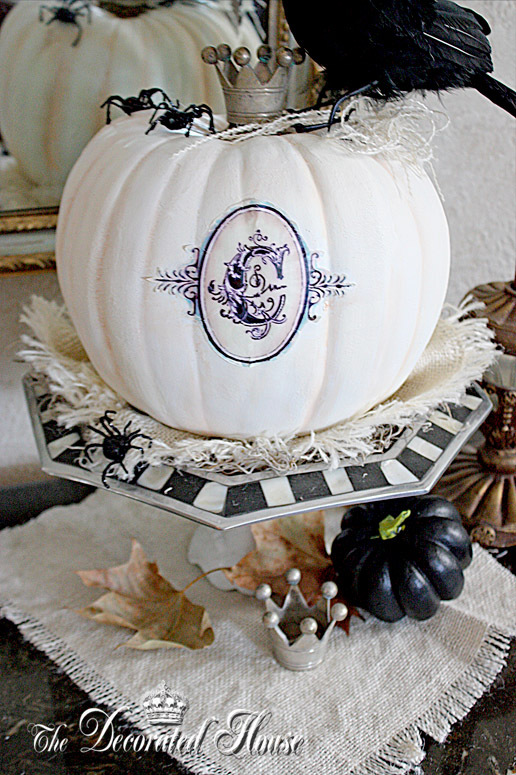 I also like the beautiful monogram on the pumpkin! A "C" would work at my house too! Hehe! Thank you for sharing your beautiful vignette with us, my friend! I really enjoyed it! Fantastical Halloween decor! The mercury glass is devine but so is your design. Enjoy! Great decor!It would be great to have you link to Seasonal Sundays. - The Tablescaper Love all of that mercury glass. Your decorations look wonderful! I adore the mercury glass you have displayed. Have a wonderful weekend, Donna! I especially love that monogram, could you please direct me to that? Also, how did you adhere it? I created the monogram in a photo editing program (Photoshop). It was printed on paper then I glued it to the pumpkin with Golden's Gel Medium, but you could use a modpodge type product as well. I also used the gel medium over the image to protect it. Thanks for stopping by.